Even today, in an era of cheap travel and constant connection, the image of young people backpacking across Europe remains seductively romantic. 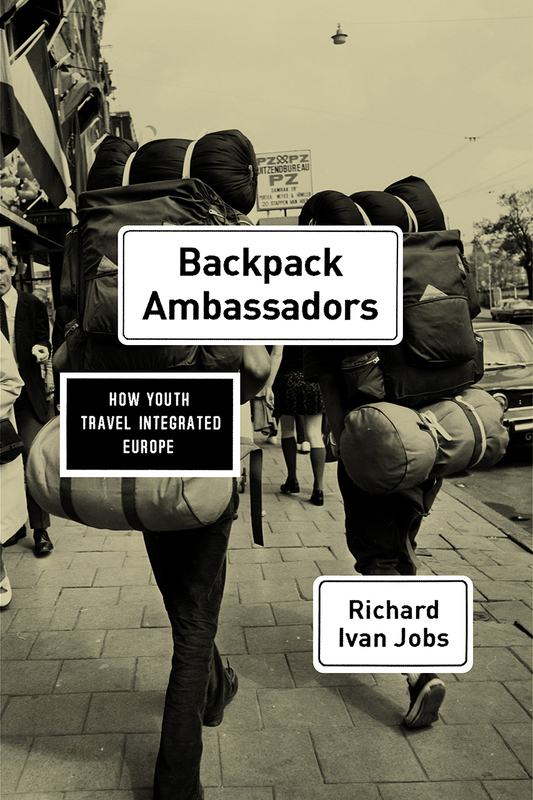 In Backpack Ambassadors, Rick Jobs tells the story of backpacking in Europe in its heyday, the decades after World War II, revealing that these footloose young people were doing more than just exploring for themselves. Rather, with each step, each border crossing, each friendship, they were quietly helping knit the continent together. From the Berlin Wall to the beaches of Spain, the Spanish Steps in Rome to the Pudding Shop in Istanbul, Jobs tells the stories of backpackers whose personal desire for freedom of movement brought the people and places of Europe into ever-closer contact. As greater and greater numbers of young people trekked around the continent, and a truly international youth culture began to emerge, the result was a Europe that, even in the midst of Cold War tensions, found its people more and more connected, their lives more and more integrated. 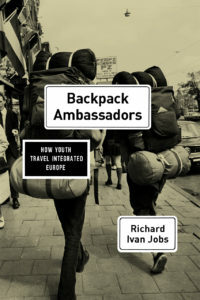 Drawing on archival work in eight countries and five languages, and featuring trenchant commentary on the relevance of this period for contemporary concerns about borders and migration, Backpack Ambassadors brilliantly recreates a movement that was far more influential and important than its footsore travelers could ever have realized. Stanford University Press, 2007. Paperback 2009. Winner of the 2007 Outstanding Academic Title Award, sponsored by Choice. 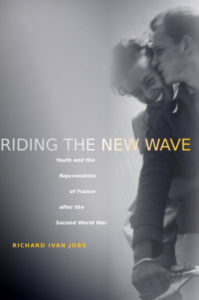 This book tells the story of France’s remarkable transformation in the 1940s and 1950s through exhaustive study of the role of youth and youth culture in France’s rejuvenation and cultural reconstruction in the aftermath of war, occupation, and collaboration. Examining everything from Brigitte Bardot and New Wave film to Tarzan and comic books, from juvenile delinquents and managerial technocrats to soldiers and 1968 protesters, from popular culture to politics, the author makes a fascinating case for reconsidering the significance and meaning of youth in postwar France. Riding the New Waveadvances a new methodological approach by considering age as a category of historical analysis comparable to, and in tandem with, race, class, and gender. 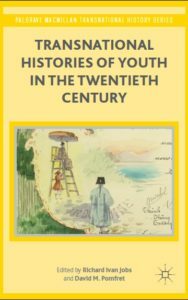 This history reveals youth to be a central feature in France’s recovery from the Second World War while also clarifying the international significance of youth in the tumultuous 1960s.